Dr. Judith N. Lasker, Professor in the Department of Sociology and Anthropology, will discuss her research on global health volunteering. Based on extensive interviews, surveys, and participant research in two programs, she has developed a set of recommendations for how potential volunteers can choose the best programs. 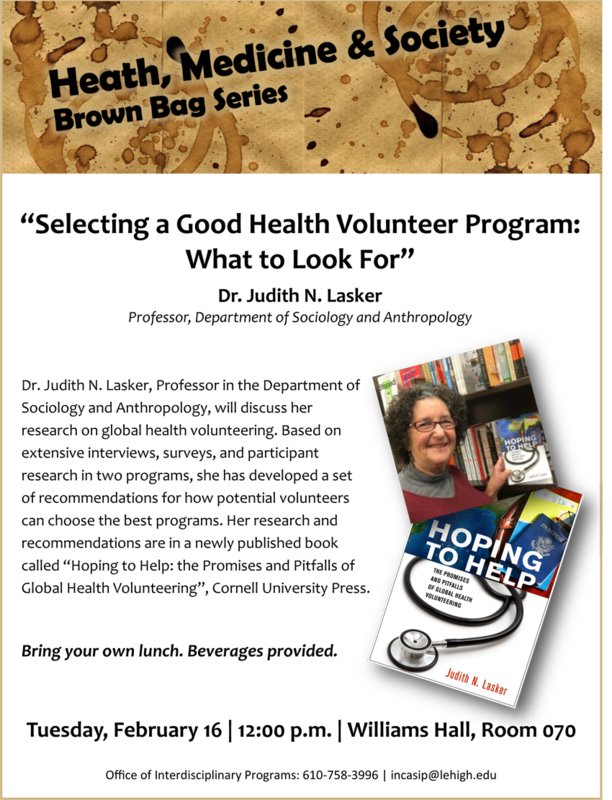 Her research and recommendations are in a newly published book called “Hoping to Help: the Promises and Pitfalls of Global Health Volunteering”, Cornell University Press.